Help young people achieve their potential. Share your love for Science. Become a Biology teacher. Science with Biology Secondary Education PGCE will qualify you to teach Biology at Secondary level in any state-maintained school in England and Wales. This one year course blends theoretical knowledge with carefully supervised teaching experience. You will attend placements in a variety of educational settings to gain a broad understanding of the realities of Secondary level teaching. All eligible teachers will be able to apply for a reimbursement on their student loan payments made in the first 10 years of their careers. Read more about the eligibility criteria. Placements are an important part of this course. During that time, you will benefit from practical learning and be supported by school-based trainers and University-based tutors. Your progress will be assessed with written assignments, case studies, and assessments of your teaching practice. This course is a mixture of University-based learning and in-school training. You will spend at least 120 days on placement in a school or other educational institution. You will examine a range of pedagogic issues, and develop your subject knowledge. During this time you will spend approximately six weeks in a school or college, applying your knowledge and developing your teaching skills. One 30-credit MA module of your choice. This module builds on the knowledge and skills you developed in Professional Studies 1. You will spend approximately 10 weeks developing your teaching skills in a school or college. In this module you will identify an educational intervention and explore its use, impact and influence upon the learning of one or more pupils. In this module you will create a plan, undertake and critically evaluate a piece of research on an educational topic of your choice. You will critically examine your chosen subject, relating current practice to educational theory and appropriate literature. You will study the principles of leadership, responsibilities of leadership in an educational establishment, tackling under-performance, and auditing performance. You will examine educational assessment theory in relation to the current practice in your own educational setting. We’ve got thousands of books and e-books, with many more titles available through the inter-library loan service. We also subscribe to a comprehensive range of print and electronic journals so you can access the most reliable and up-to-date academic and industry articles. You'll be based at The David Goldman Informatics Centre, situated on the award-winning St Peter's riverside campus. The location benefits from dedicated library services and has superb transport links with the city centre and City Campus. We also require three passes at GCSE grade C or above, which must include Mathematics and English Language. If you have studied for a new GCSE for which you will be awarded a numerical grade then you will need to achieve a grade 4 or above. Applicants whose first language is not English must achieve a minimum IELTS band score of 6.5, with no less than 6.5 in writing and 6.0 in any other element. All successful applicants will be interviewed. You could also be eligible for a £26,000 bursary throughout your PGCE year. See Department of Education’s Get into Teaching website for more information and Terms and Conditions. This degree awards Qualified Teacher Status, which means that when you graduate you’ll be qualified to teach in any state-maintained secondary school in England and Wales. Most graduates from this course go on to teach in secondary schools. Good teachers are always in high demand. The average starting salary for a teacher is £22,000, and experienced teachers can earn up to £56,000 outside London, and £64,000 in London. Head teachers can reach a salary of between £42,379 and £112,000. 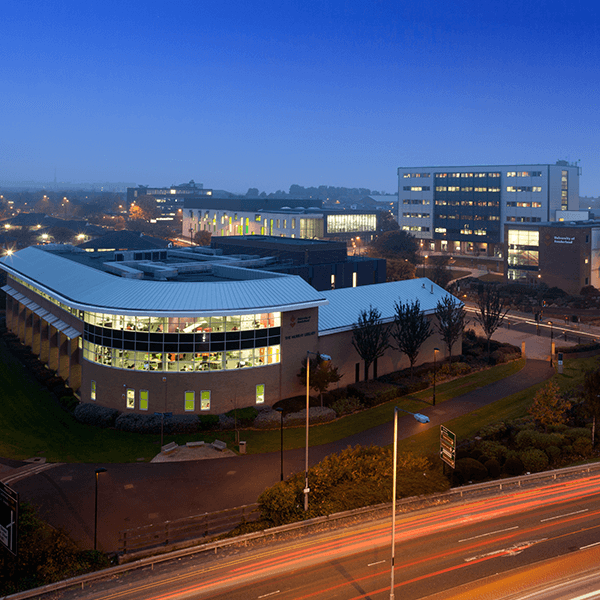 The University of Sunderland has partnerships with over 200 schools, in 12 local authorities. You’ll spend at least 120 days on placement. We’ll work with you to find you the perfect placements - schools that can nurture and support your aspirations and interests, and help you become the best secondary teacher you can be. The University of Sunderland gave me the skills to enable me to be successful in my chosen career. View Programme Specifications for the Faculty of Education and Society.